Brett Burglund and Haley Miller are contributors to Writers on the Range, the opinion service of High Country News. They split their time between Helena, Montana, and the Upper Missouri River Breaks National Monument as co-owners of Upper Missouri River Canoe Guides. As small-business owners who rely on Montana’s outdoors and public lands for our livelihood, we were aghast when we learned that Montana’s lone congressman, Republican Rep. Greg Gianforte, voted for legislation that could put the Upper Missouri River Breaks National Monument back on the chopping block. Not only has he voted to support Utah Republican Rep. Rob Bishop’s bill, which guts the Antiquities Act by severely limiting a president’s ability to designate a monument, he has yet to tell Montanans where he truly stands on America’s treasured national monuments, including the Breaks. We were already taken aback when Secretary of the Interior Ryan Zinke decided to review the status of many national monuments in the West. The uncertainty this process has created has undermined our business and many others dependent on the natural world. Nearly 150 miles of the Upper Missouri River wind through the Upper Missouri River Breaks National Monument. The Breaks is a successful recreation destination because it is intact, remote and wild — qualities that only federal protection can preserve. After receiving mounting opposition in his home state of Montana, Zinke decided to pardon the Breaks. So far, he has eviscerated only Bears Ears and Grand Staircase-Escalante national monuments in Utah. But now we’ve come to learn that Gianforte supports the Interior secretary’s determination to undo President Theodore Roosevelt’s legacy of using the Antiquities Act to designate national monuments. He supports giving the president authority to rescind national monument designations without congressional approval. This would put every national monument in the country at risk, and the protections that exist now could prove meaningless. 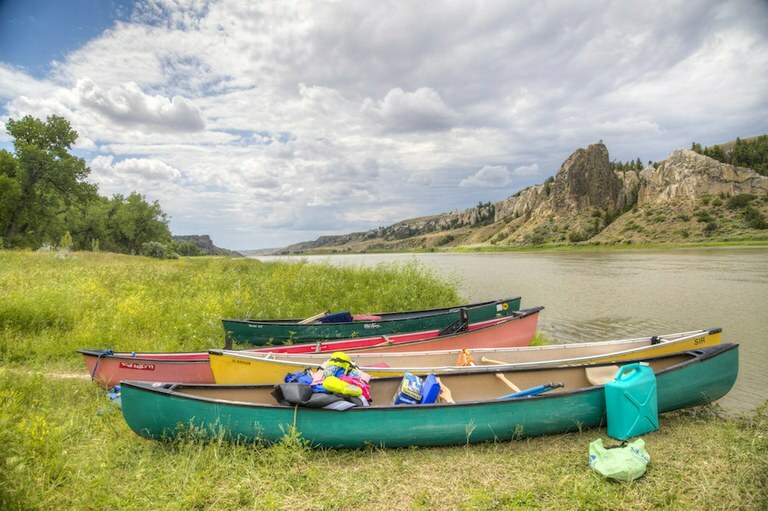 As co-owners of an outdoor recreation business, we know that our work helps to create jobs that infuse dollars into rural economies and communities like Fort Benton, Montana, our boat-launching point. Gianforte’s lack of regard for national monuments has saddled rural communities like ours with an uncertainty that has had destructive impacts on us. But there was still worse to come: In early March, Zinke’s Bureau of Land Management auctioned off oil and gas leases right on the border of the Missouri Breaks for the minimum price of $2 per acre. This will give energy companies the right to drill close to this irreplaceable Montana national monument. In return, taxpayers will receive less than $900. 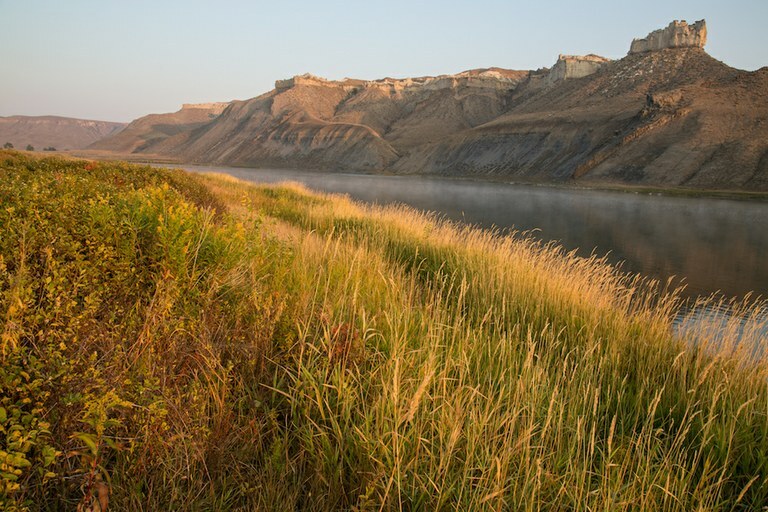 The Upper Missouri River Breaks National Monument is a popular destination for canoeing, fishing, hiking and other outdoor activities. We fully understand that a wide range of economic activities needs to be balanced when it comes to managing public lands, but research consistently shows that Montana’s recreation opportunities draw so many visitors mainly because it remains one of the wildest places in the Lower 48, a place where one can truly escape and experience nature in its purest form. Our state’s public lands also help our economy: In 2016, for the first time, federal economists analyzed the strength of the outdoor recreation industry and found that it accounted for 2 percent of the country’s gross domestic product. Outdoor recreation, which generated $374 billion in 2016, is growing faster than the economy as a whole, at 3.8 percent. The Missouri Breaks is unquestionably one of the most important places in the country for anyone who wants to reconnect with one of the West’s most significant pieces of history: the Lewis and Clark Expedition, which spurred the development of this country. It also remains one of the most fragile. This area is still struggling to adapt to the previous century’s construction of dams, and it faces the ongoing impacts of overgrazing by cattle. We dodged a bullet when Zinke pulled the Breaks from monument review, but our public lands are still facing death by a thousand cuts. And if Gianforte has his way, recreation-based businesses like ours will be shrouded by the possibility that the president could eliminate the monument we depend on. Future generations could lose one of the most historically significant and cherished areas in the West, if not the nation. Has Gianforte ever visited this area? Has he ever spent the night at the same camp as Lewis and Clark? Perhaps if he took off his politician’s hat, he might gain a different perspective. We hope so. But for now, the bottom line is that our only representative in the U.S. House doesn’t value our public lands as highly as we do. He just doesn’t get it.